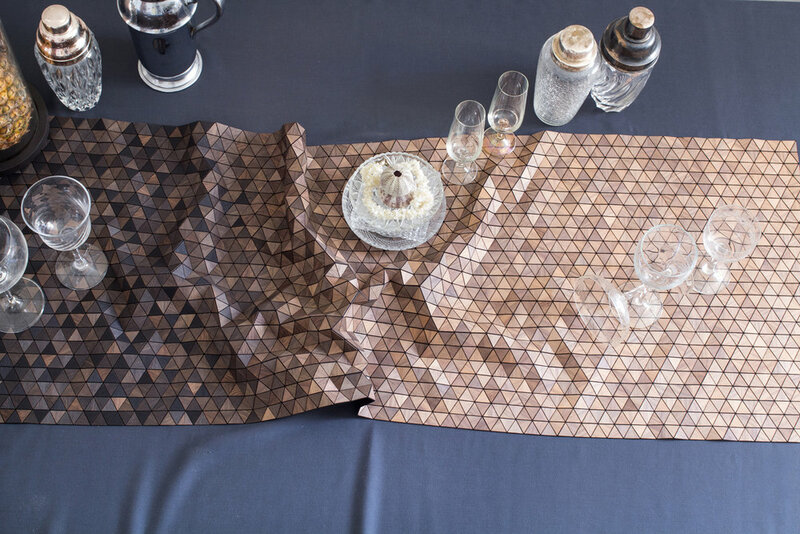 The table-runners with fading-patterns have been developed in collaboration with GESTALTEN. They are available in three different sizes. The colored table-runners have been produced in collaboration with Gestalten in 3 different designs.